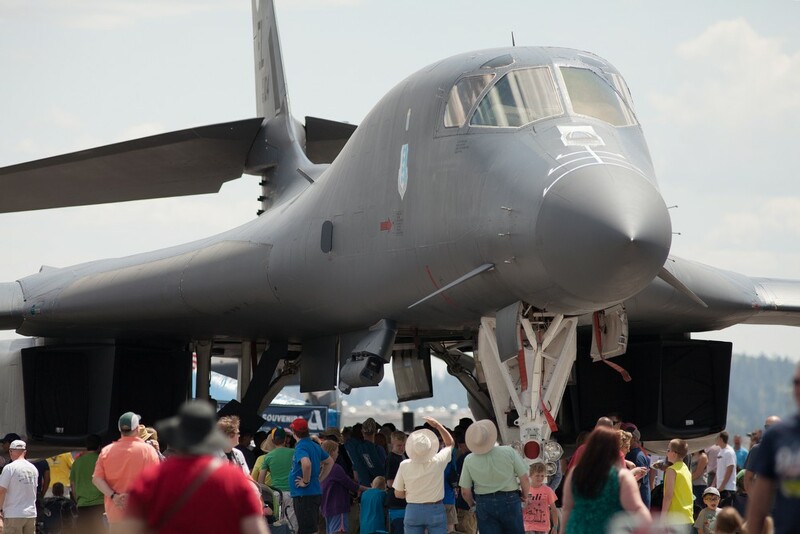 After a four-year absence due to budget constraints, Skyfest returned to Fairchild Air Force Base this weekend. 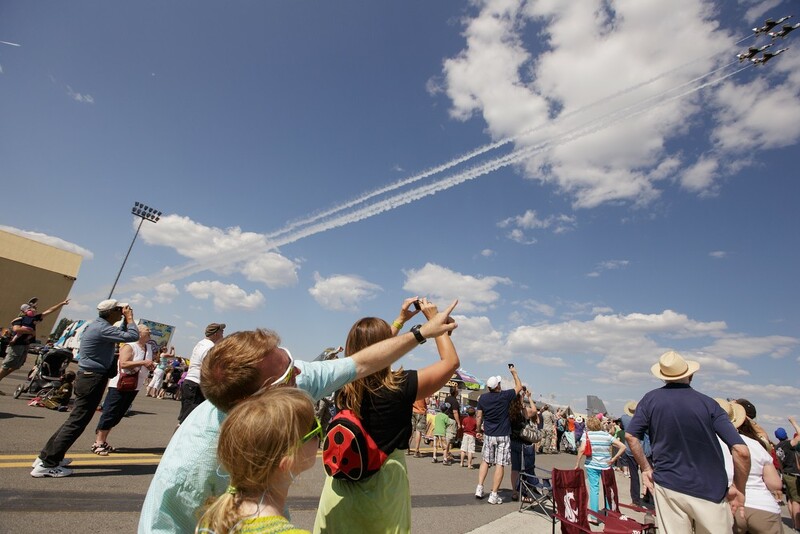 Thousands came out to see many different military aircraft, including a B-1B bomber, F-15E, V-22 Osprey and many others, along with demonstrations by the Army’s Golden Knights and the Air Force's Thunderbirds. 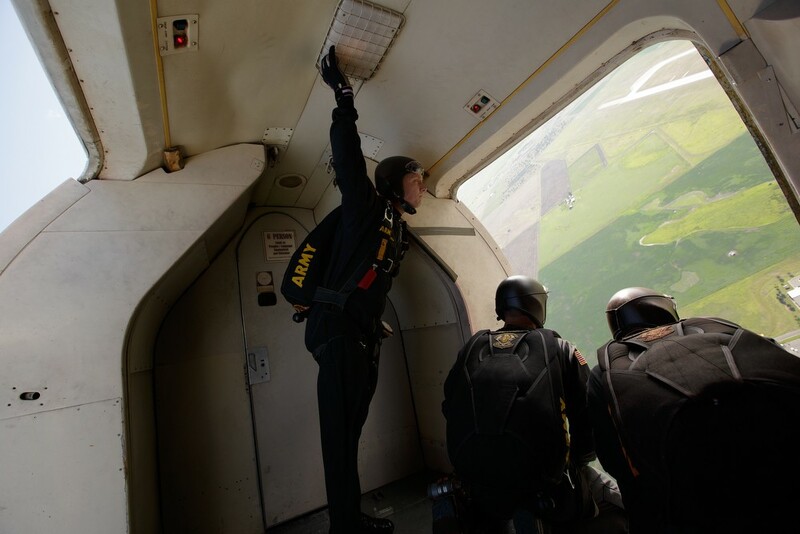 Members of the Golden Knights, the U.S. Army parachute team, look out from the team's airplane after they drop a streamer before a practice jump. 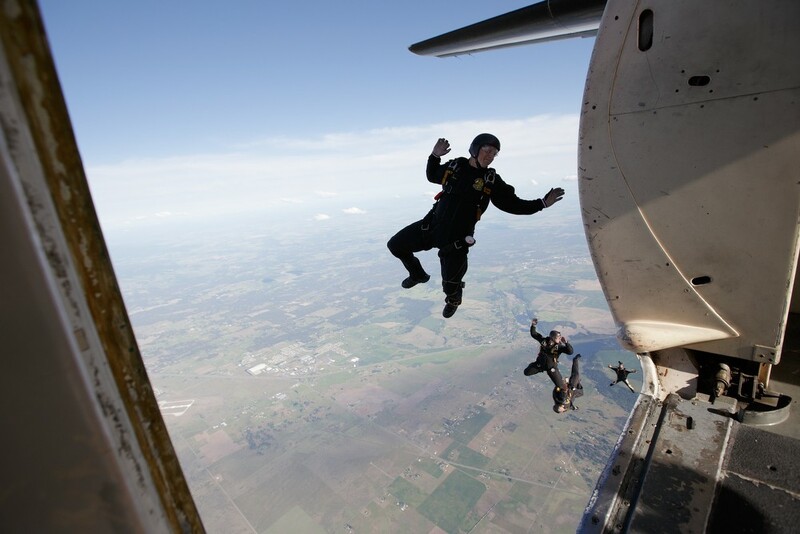 Members of the Golden Knights, the U.S. Army parachute team, leave their airplane during a practice jump. Visitors gather around a B-1B. U.S. Air Force 389th Fighter Squadron Capt. 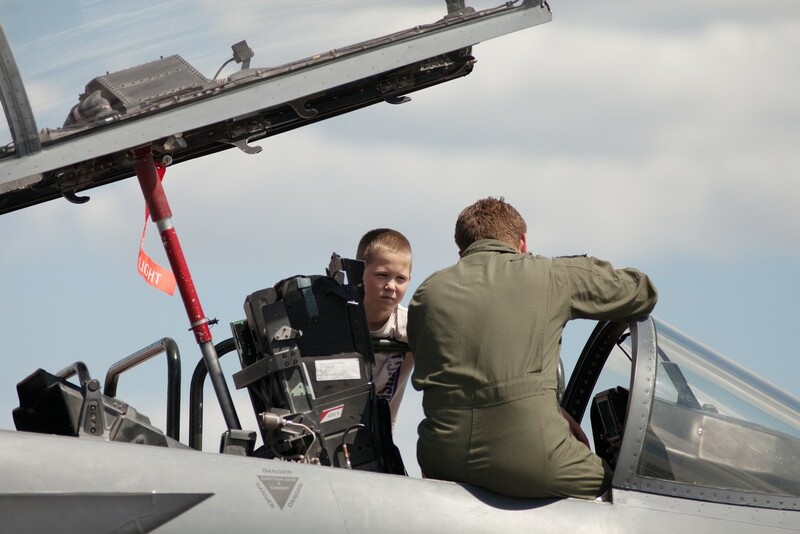 Dan Hendren, right, shows the cockpit of his F-15E to 12-year-old Preston Johnson. 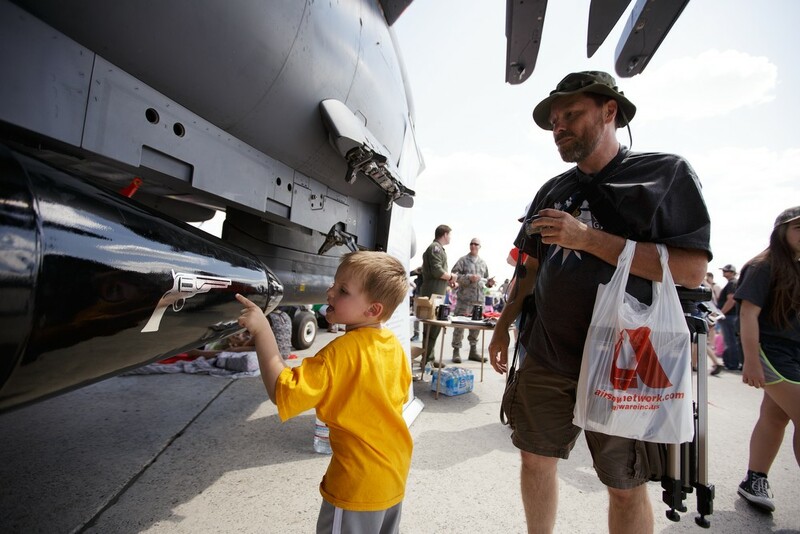 Four-year-old Hunter Frein, left, inspects an F-15E as his grandfather James looks on. 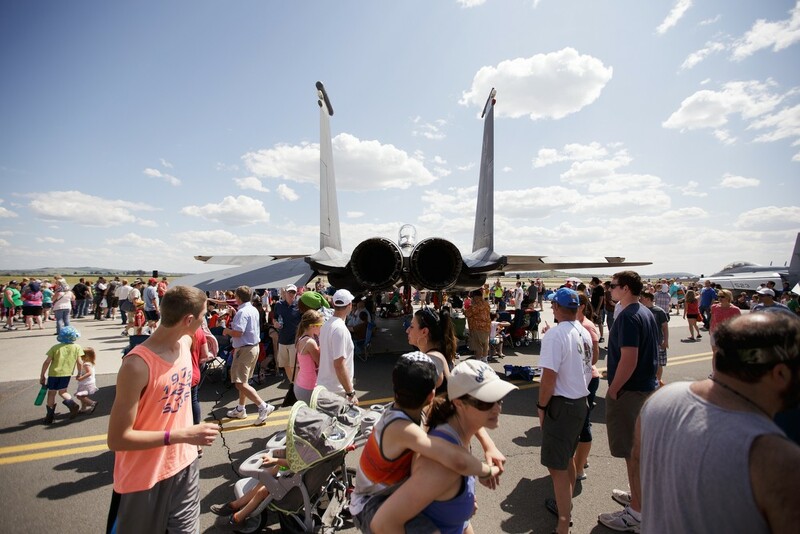 Visitors walk past an F-15E. 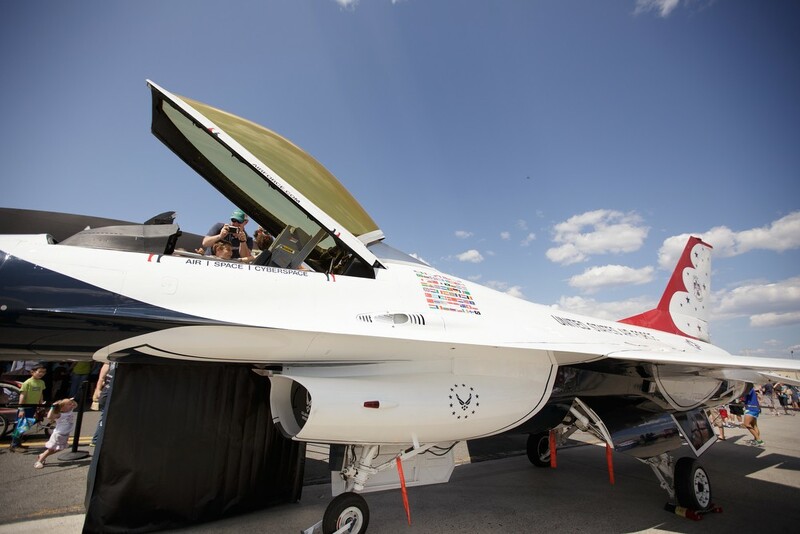 William Wadmer, top, takes a photo of the cockpit of a U.S. Air Force Thunderbirds Air Demonstration Squadron F-16. 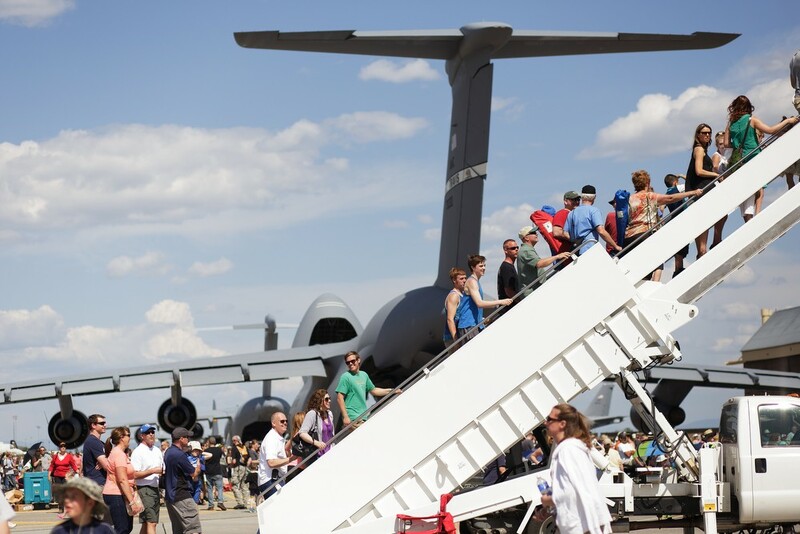 Visitors line up to enter a KC-10. 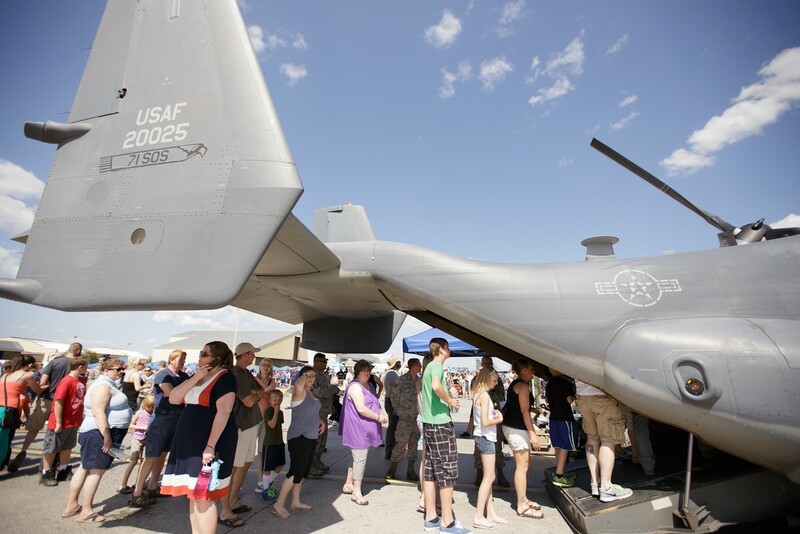 Visitors line up to enter a V-22 Osprey. 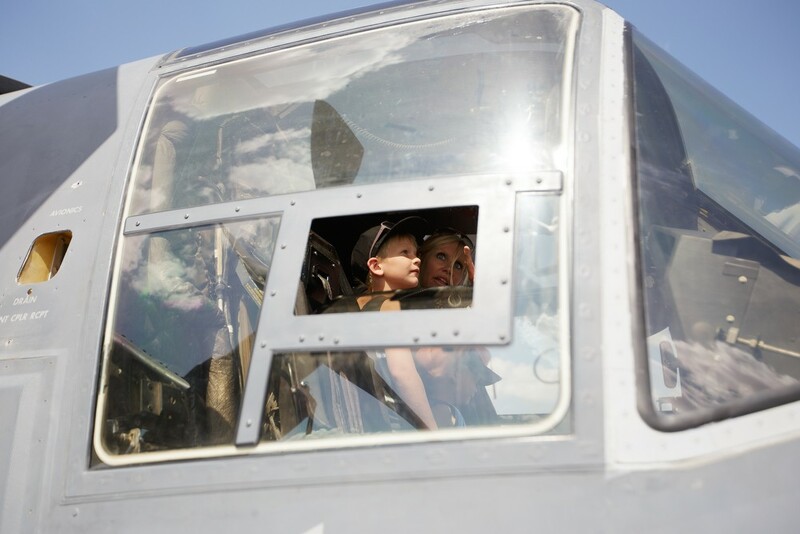 Six-year-old Gracin Siegel, left, and her mother Staci sit in the cockpit of a V-22 Osprey. George Laplace, in the foregrond, points to passing U.S. Air Force Thunderbirds Air Demonstration Squadron F-16s as his 8-year-old daughter Celeste watches. 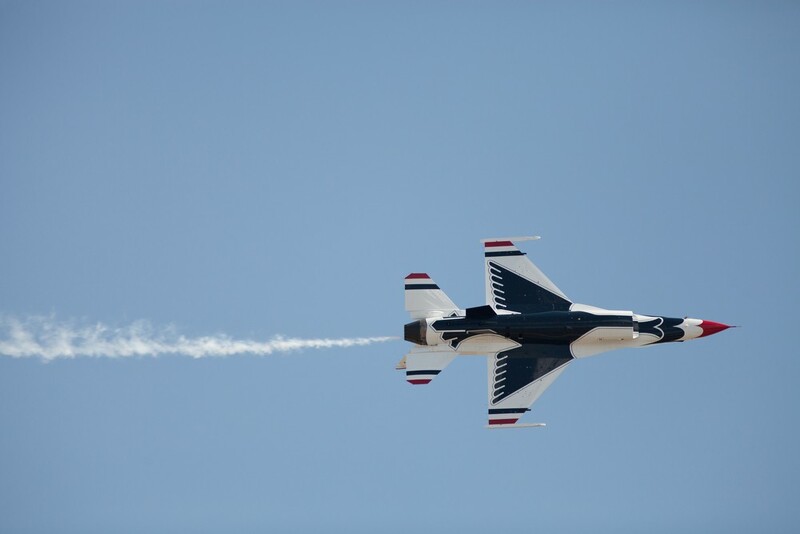 A U.S. Air Force Thunderbirds Air Demonstration Squadron F-16 makes a pass. 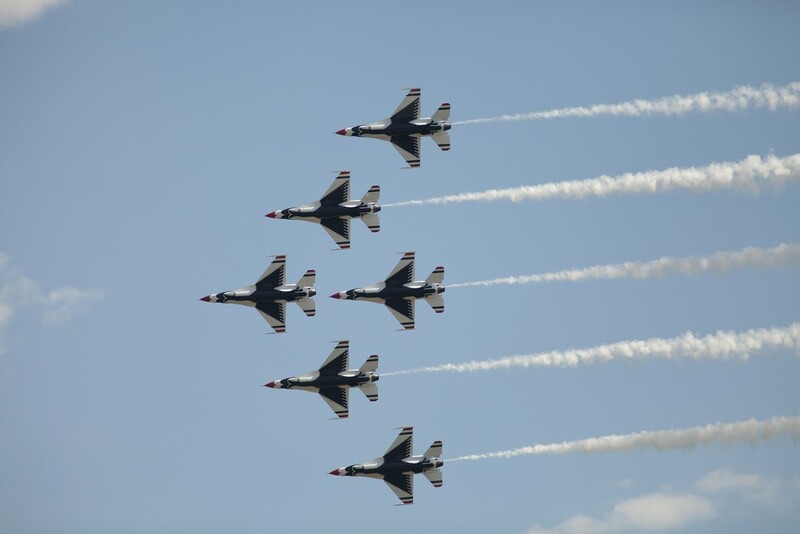 The U.S. Air Force Thunderbirds Air Demonstration Squadron perform in their F-16s. 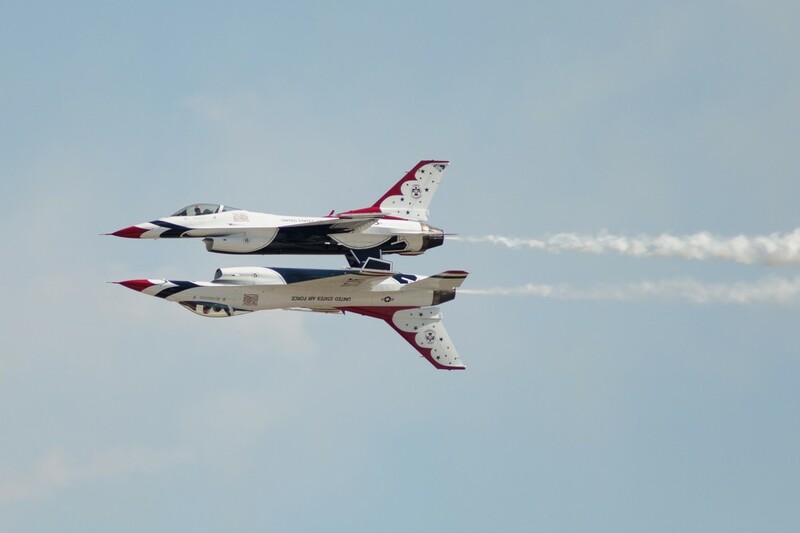 Two U.S. Air Force Thunderbirds Air Demonstration Squadron F-16s perform.